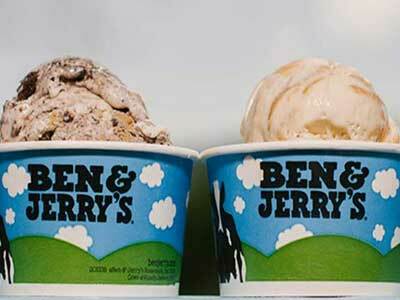 Ben & Jerry’s in Harrahs Casino provides the ultimate ice cream experience. With over 25 flavors of ice cream, sorbet and frozen yogurt served in a fresh waffle cone, a bowl or swirled into a milkshake or smoothie, Ben & Jerry’s has something for everyone. This iconic ice cream brand has been satisfying patrons with their high quality unique flavor combinations for years. Starting in Vermont in 1978, this ice cream has made a name for itself with not only their great quality but also for their fun flavor names! Come find your favorite-Cherry Garcia, Americone Dream, Empowerment, Truffle Kerfuffle and Chunky Monkey are just a few that may be available. Non-Dairy ice cream now available. I go here every time in town. It’s the best! This place is so awesome! If you have a chance visit and watch!! And they were so fun and nice to watch!!! Awesome attraction!!! And the ice cream is delicious!!! Fantastic ice cream and they make it right in front of you! !